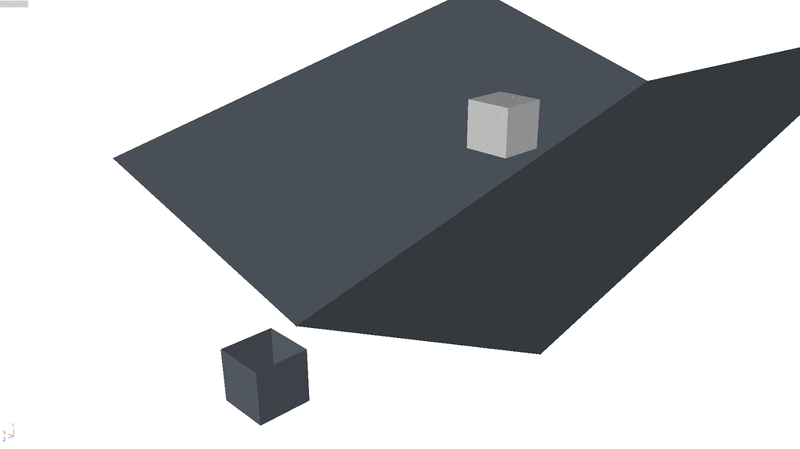 At this time, I try to making original shape(cube) with another method. In real accidental situation, the cube will break and be assembled using normal gravity. It is hard to contain in same size cube so, I change scale slightly. 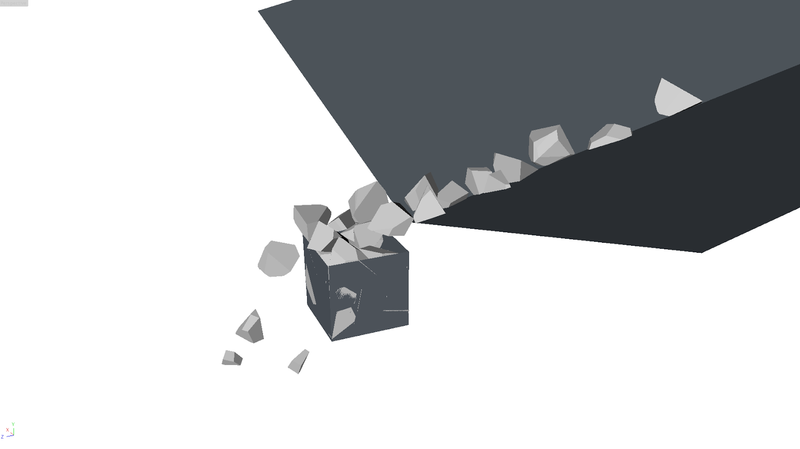 The inner void space make the fragments are overflow. 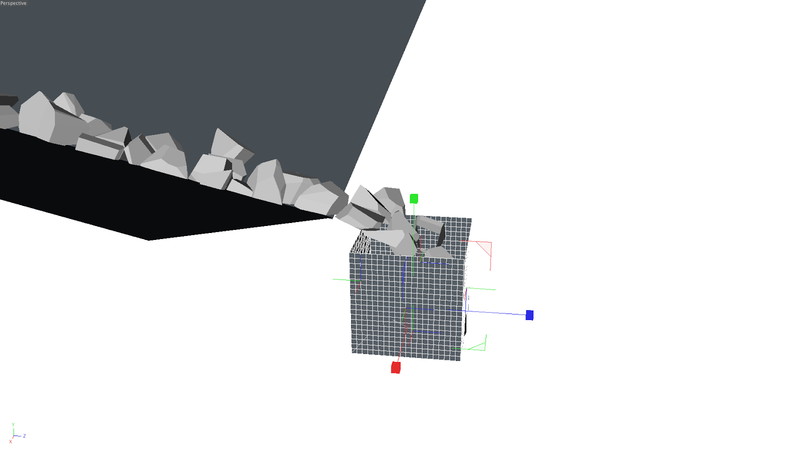 Next step, I transfer the file to maya and making connection the fragments like a sewing. 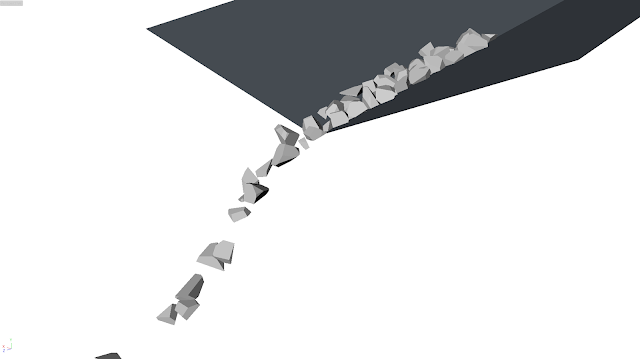 The sewing is that all fragments have same axis at least 1. So, I use the projection line method and get the 100 line surface like this. 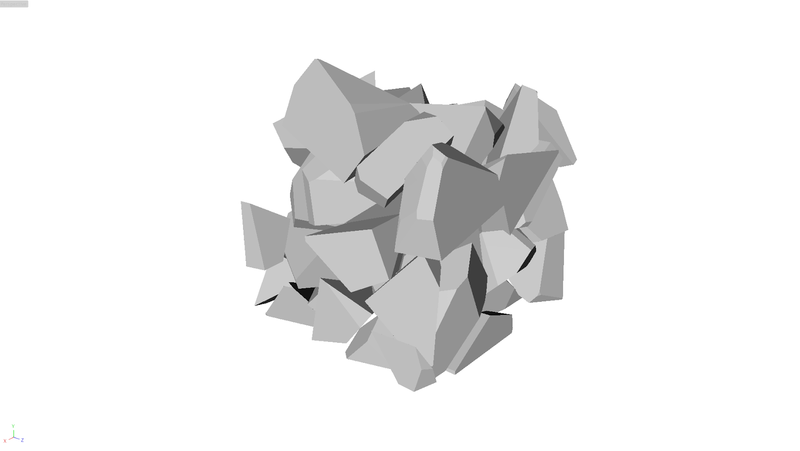 And I made some alt for making more connectable shape like a fluid. I think the same surface method and making fluid shape are very effective method for looking connectable. I can make variety form with this basic 100 lines.